Everkem Diversified Products, manufacturer of sealants, adhesives, firestopping products, and electrical chemicals, is pleased to announce Firestop-814+ Firestopping Sealant and Sound Seal 90 Draft, Smoke, and Acoustical Sound Sealant have been UL tested for emissivity and comply to LEED v4 standards for "low emission interior sealants and adhesives applied on site' per CA Section 01350. The Leadership in Energy and Environmental Design (LEED) program was established as a rating system to evaluate the environmental performance of a building as well as help to promote a market shift towards a more sustainable design. Today, LEED is the most widely used green building system in the world and covers nearly all building project types. The credit based system creates a framework wherein project teams create healthy, efficient, and cost-effective buildings by earning points for satisfying specific 'green' building criteria. The LEED system has seen multiple revisions, the most recent of which being LEED v4. The latest versions aims to be more specialized and offer an improved user experience. Additionally, its criteria are more stringent, and product claims now require validation via testing by an approved, third party laboratory. One of the components of the LEED rating system is minimizing a major class of indoor pollutants known as Volatile Organic Compounds (VOC's) found within the built environment. VOC's are a class of indoor pollutants emitted as gases from certain materials, and can be emitted into indoor air from many common building materials like flooring, paint, paint strippers and other solvents, as well as sealants and adhesives. Many VOC's can have short- and long-term adverse health effects ranging from simple eye and throat irritation to cancer. Additionally, studies have shown that VOC levels can be up to ten times higher indoors than outdoors, regardless of whether the building is located in a rural or industrial area. "When considering the time we spend indoors (at work, recreation, and especially at home), it becomes apparent that minimizing exposure to volatile organic compounds is essential not only for our comfort, but our health and safey," Lynch said. 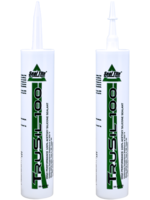 "In understanding that our caulks, sealants, adhesives, and firestopping products are essential components in building safer and more sustainable buildings, we at Everkem realize it is our responsibility to provide quality, performance-driven products that impact the built and natural environments, and the people who occupy them, in a positive way. For us fulfill that responsibility, it was obvious that we needed to ensure that our products complied with LEED v4 criteria related to product VOC levels and emissions. Doing so provides our customers and those that work, play, and live in those structures peace of mind when it comes to their safety and environmental impact. For more information regarding LEED v4 compliance of Firestop-814 or Sound Seal 90, please call the Everkem corporate office at 1-800-638-3160, or visit them online at www.everkemproducts.com. Everkem Diversified Products specializes in the manufacture of top quality sealants, adhesives and specialty chemical compounds used for construction and industrial applications. 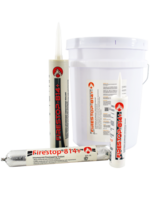 Product lines include high temperature mortars, sealants, putties, and accessories used for firestopping and refractory applications; a variety of sealant technologies including latex sealants, silicones, insulating foam sealants, and state-of-the-art hybrid sealants; as well as specialty electrical chemicals. 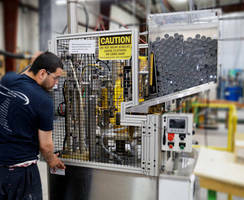 Headquartered in Winston-Salem, NC, the Everkem foundation is built upon innovative manufacturing capabilities, progressive product solutions and old fashioned personal service and customer support.